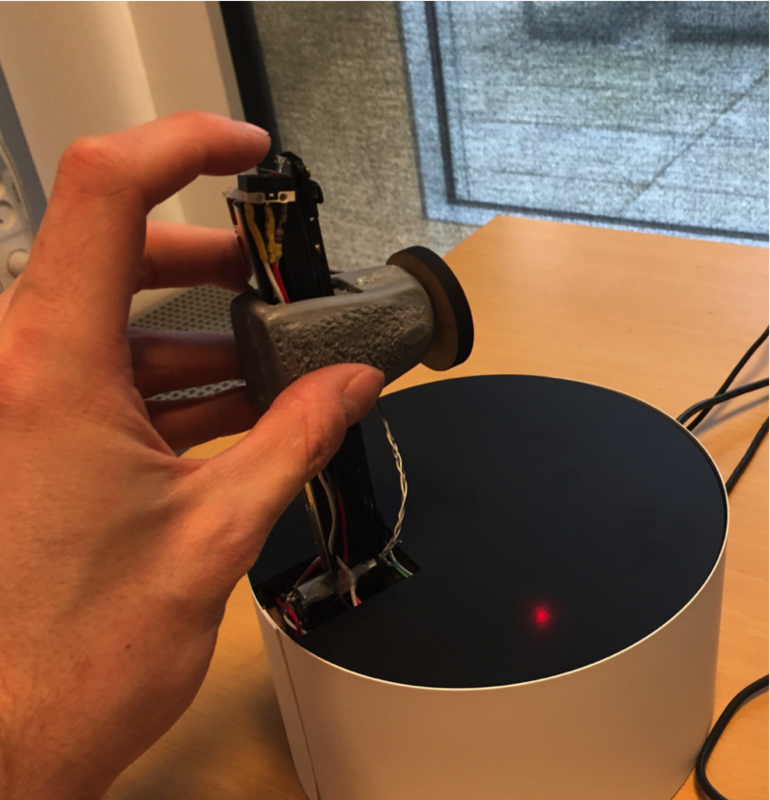 CADLens: Haptic Feedback for Navigating in 3D Environments – ixd! CADLens is a tangible input device with haptic feedback for navigating three dimensional Computer-Aided Design (CAD) environments. CADLens is intended to provide more intuitive controls with a low barrier of entry for first time or less experienced CAD users. Navigation in the CAD environment is possible through manipulating the physical controller with guidance provided through haptic force feedback. In CAD environments, a common viewport used by designers is the perspective viewport camera – CADLens represents the virtual camera position through its synchronized physical form which the user can move, zoom, and rotate. We conducted a study with 10 users in which participants were asked to complete navigation tasks using a model of a building. Users were able to successfully complete the navigation tasks and through contextual interviews provided feedback for system improvements. CADLens enables the designer to control the CAD environment by manipulating the physical controller while receiving guidance through haptic force feedback. This enables haptic cues such as “detents” or sensations of notches from the 3D model on the screen to be felt by the user. This system can help novice users understand the 3D world on the screen and to communicate more easily with other designers. Haulrik, N., Petersen, R. M., and Merritt, T. (2017). CADLens: Haptic feedback for navigating in 3D environments. In DIS’17. ACM.